Keep wine bottles organized in the storage rack built right into this server. Since the server will be close to your dining table, you won’t even have to leave the room to pop open a new bottle during dinner. You can also keep bottles safe from high pantry or cupboard shelves by storing them in this lower, easier-to-reach storage area. 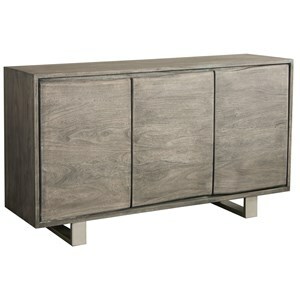 Protect your silverware, serving platters, and other fragile dining items in this item’s felt-lined drawer(s). Silver is a soft metal that can easily be dented without proper care. The textured felt of these drawers helps to keep your silver safe and sound. The lining also prevents the drawer bottom from being scratched, as it creates a barrier between sharp items and the drawer itself. 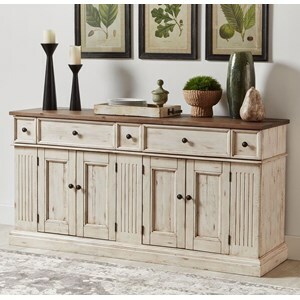 This charming sideboard captures classic farmhouse style with its painted white finish and black metal bracket accents. 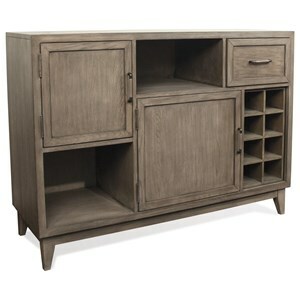 Three center drawers provide concealed storage, while the two glass doors provide display and storage space for dining and entertaining essentials. 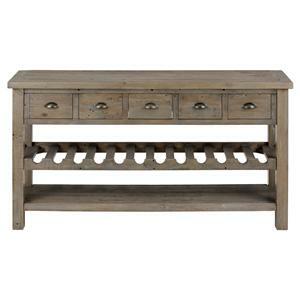 For modern convenience, the two top pullout drawers provide convenient wine bottle storage. 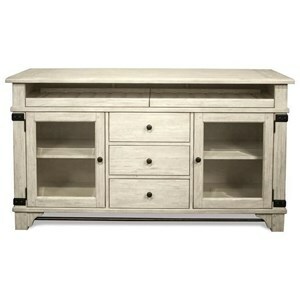 The Regan Farmhouse Sideboard with Glass Doors by Riverside Furniture at Stuckey Furniture in the Mt. Pleasant and Stuckey, South Carolina area. Product availability may vary. Contact us for the most current availability on this product. Storage Two top pullout drawers with wine bottle storage. 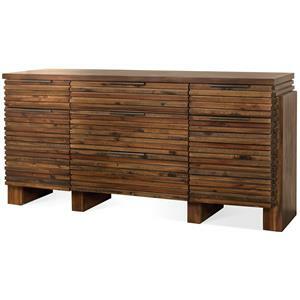 Three center drawers feature felt-lined bottoms, and two glass doors with an adjustable shelf behind each. 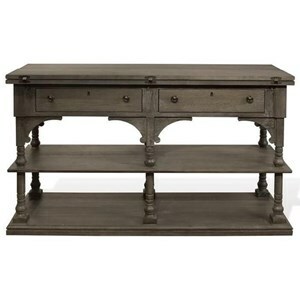 Introduce a country cottage atmosphere into your home with this beautiful collection of dining, entertainment, and occasional furniture. 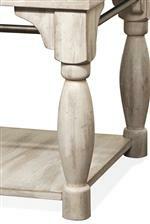 Each piece boasts a handful of exquisite details, including metal accents, elegantly turned legs, and plank-style table tops. 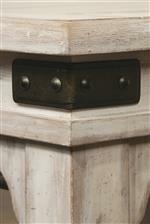 With an eclectic mix between rustic industrial, traditional, and cottage styles, you'll love having this collection in your home. 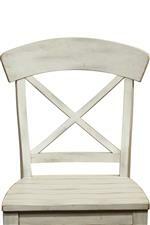 The Regan collection is a great option if you are looking for Cottage furniture in the Mt. Pleasant and Stuckey, South Carolina area. 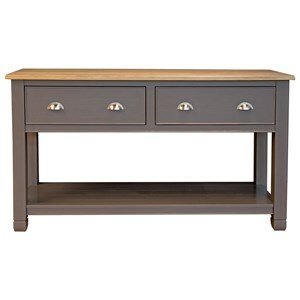 Browse other items in the Regan collection from Stuckey Furniture in the Mt. Pleasant and Stuckey, South Carolina area.